Our Houston Infant toy box rental is loaded with appropriate toys for babies. 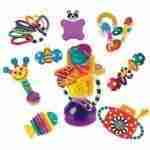 Teethers, rattles, plush and musical toys to fascinate and engage infants. Our Houston Infant toy box rental is loaded with appropriate toys for babies. Teethers, rattles, baby keys, plush toys, and musical toys to fascinate and engage infants. We sanitize all toys to assure they are safe and clean for each child. Adding toys to your baby rental order helps to keep bags from being over loaded when away from home. A variety of toys for Infants. 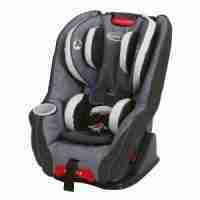 Brands include Fisher Price, Mattel, V- Tech and many more trusted brands. Soft Toys are laundered. Hard surface toys are sanitized using organic cleaners. Check out our extensive cleaning process. 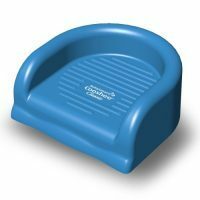 No other baby equipment rental company in Houston Infant Toy Box rental offers this level of sanitization. Notify your hotel, AirBNB host, or rental property owner that Rockabye will deliver baby gear for your child(ren) during your stay. Ask them to note your reservation. Obtain any specific instructions we will need. If a property is inside a secure community, then we require a gate code. For manned security gates, please add “Baby Rentals” to the visitor list, so our staff can access the property. Provide us with any instructions we need from your hotel or host. A contact name and telephone number is necessary. Our staff will call in the event there are any issues at the time of delivery or pick up. Third party companies manage or clean many AirBNB, VRBO, and HomeAway properties. Thus, provide details in the Notes box in our order form.